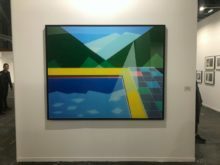  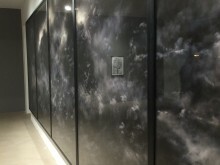 Tuori’s work is characterized by the logic of layeredness, covering and revealing, with individual works consisting of several layers of images. 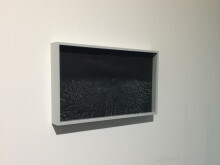 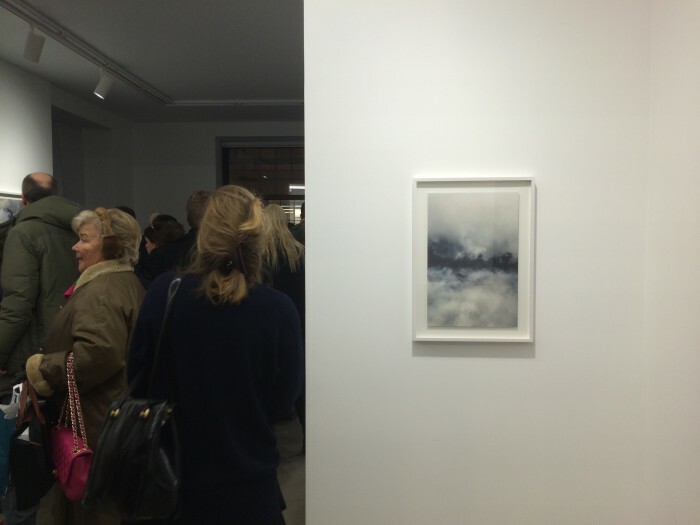 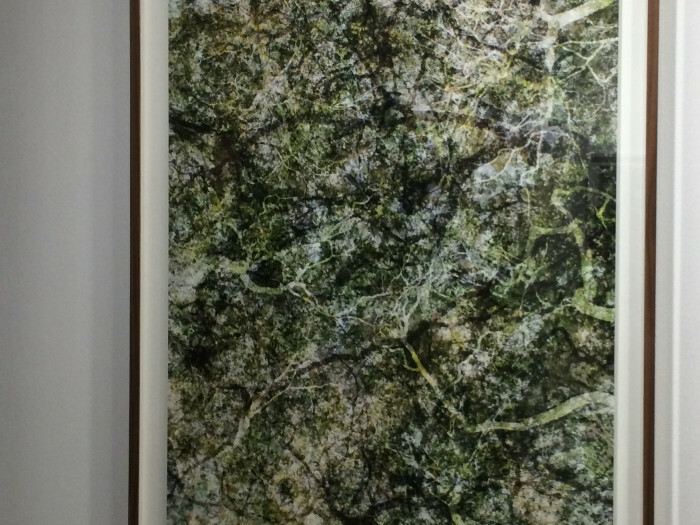 The layers translucently visible through each other contain both black and white and colour photographs. 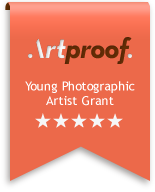 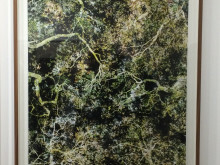 The artist occasionally applies reverse, negative images in his compositions. 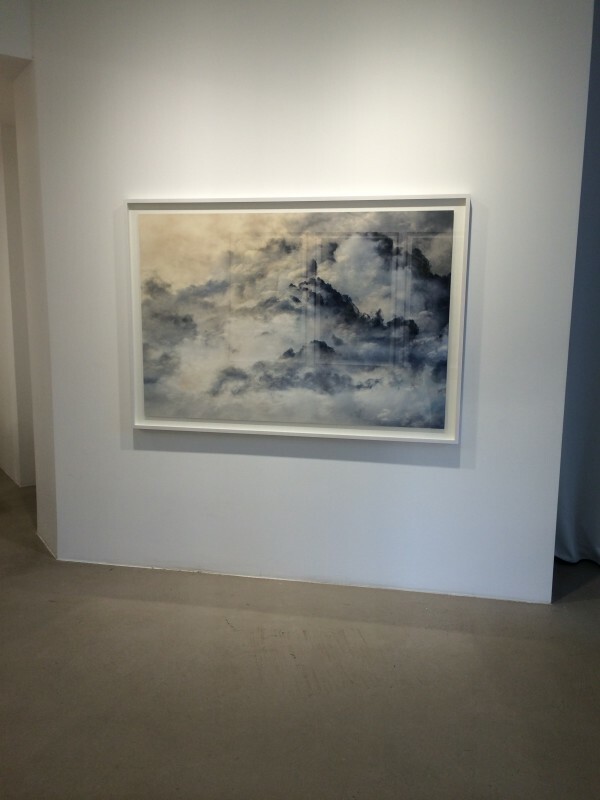 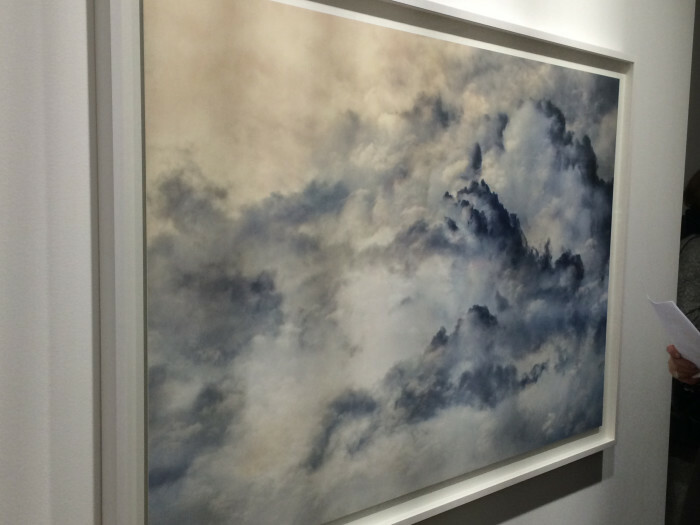 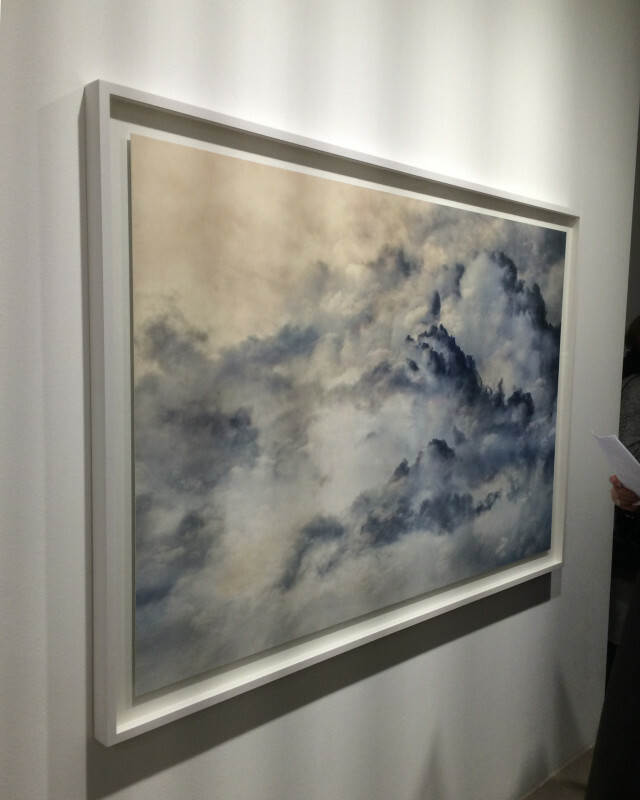 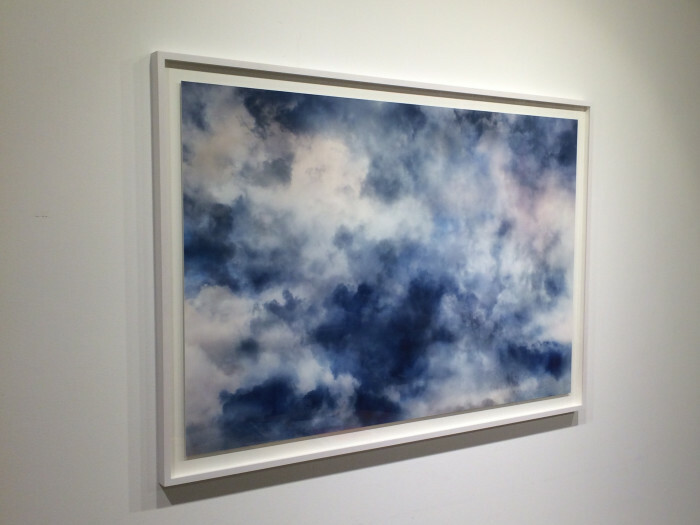 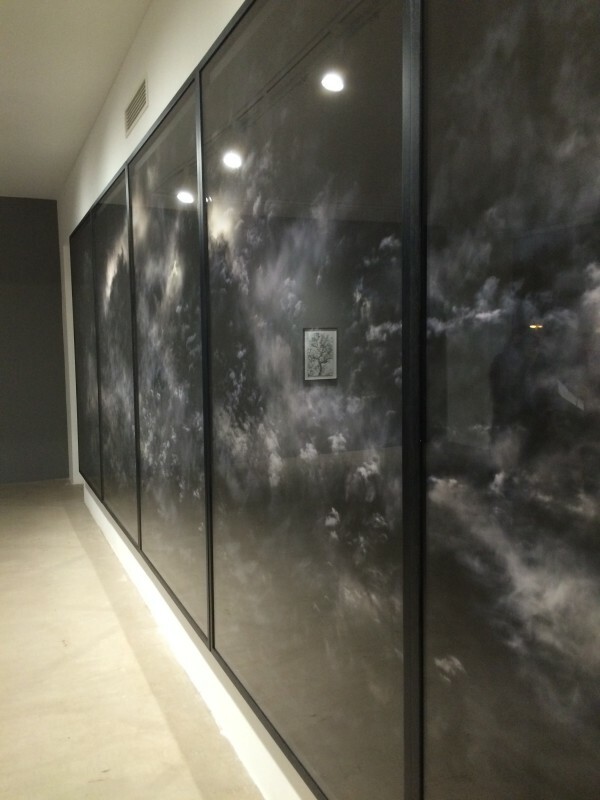 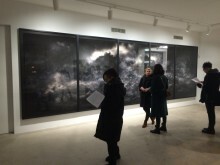 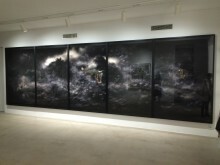 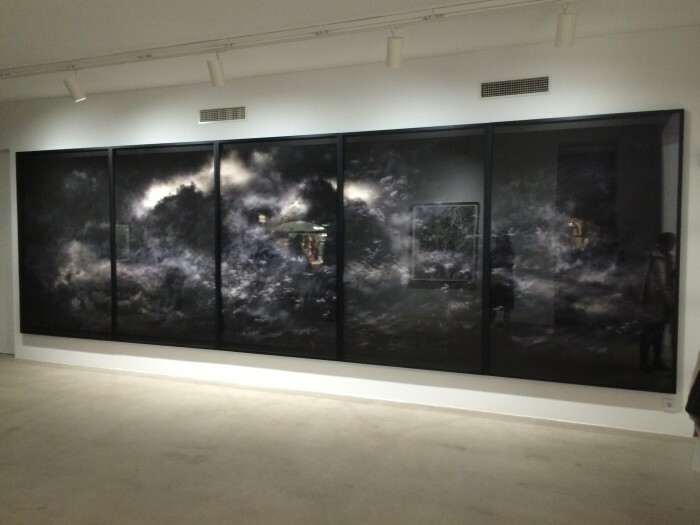 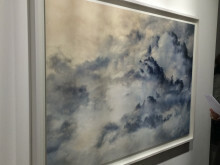 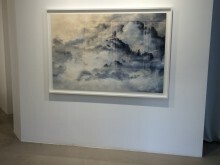 Almost eight metres wide, the work gives the leading role to a landscape of clouds, its large size emphasizing the relationship of the viewer’s body and the image. 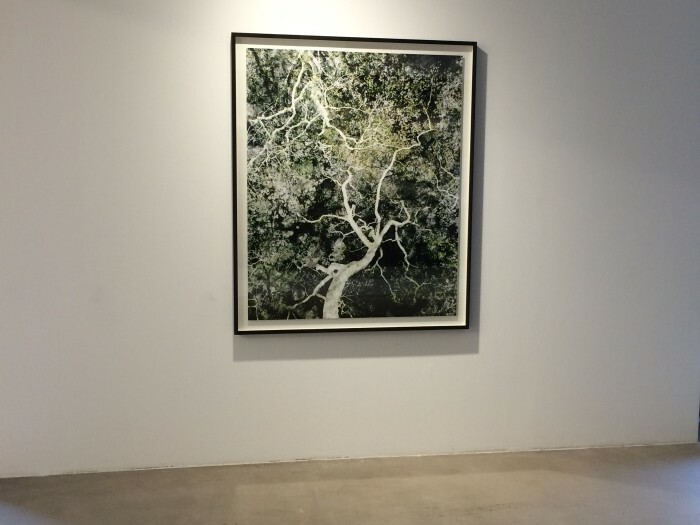 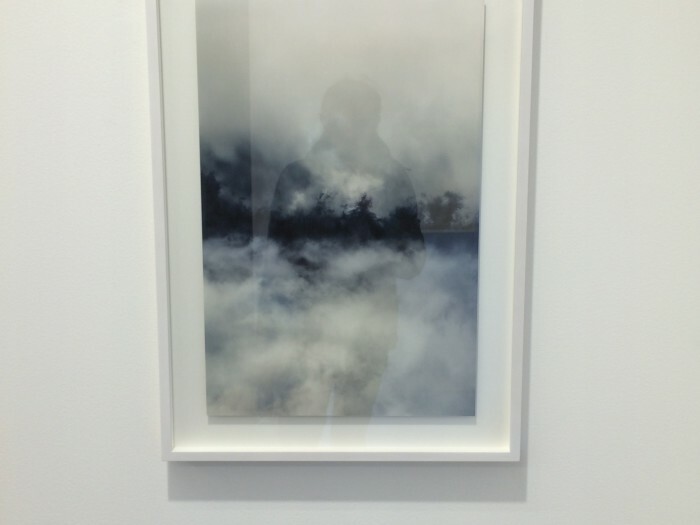 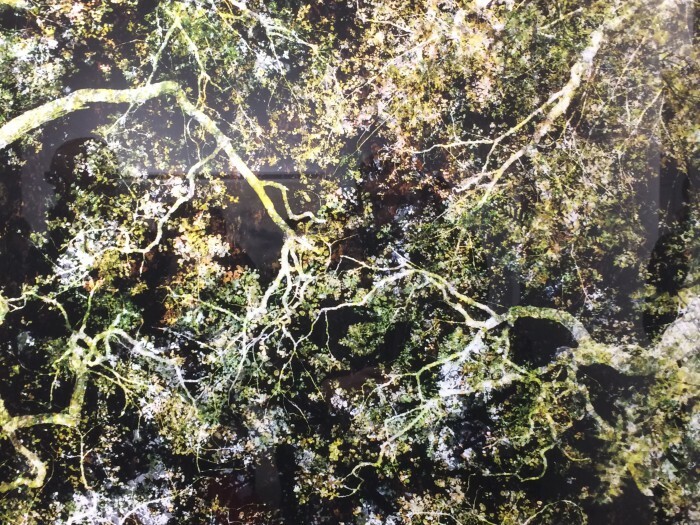 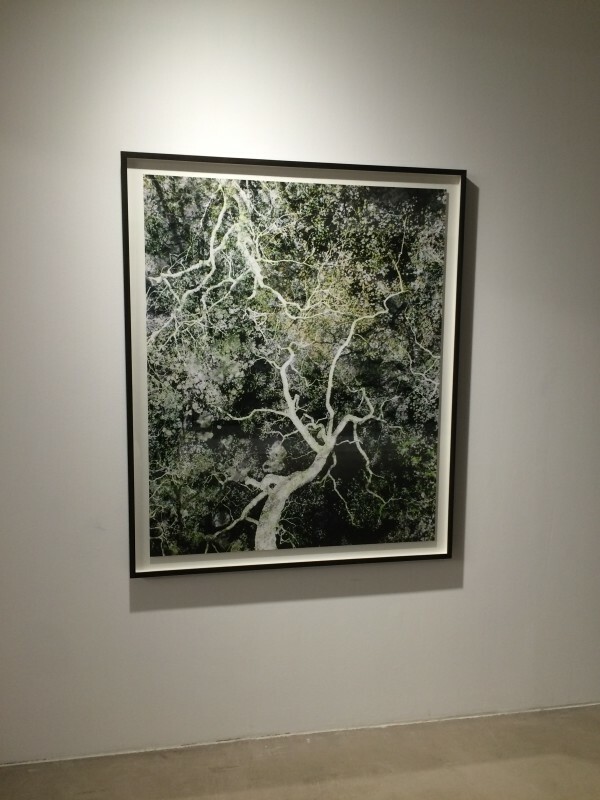 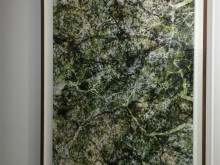 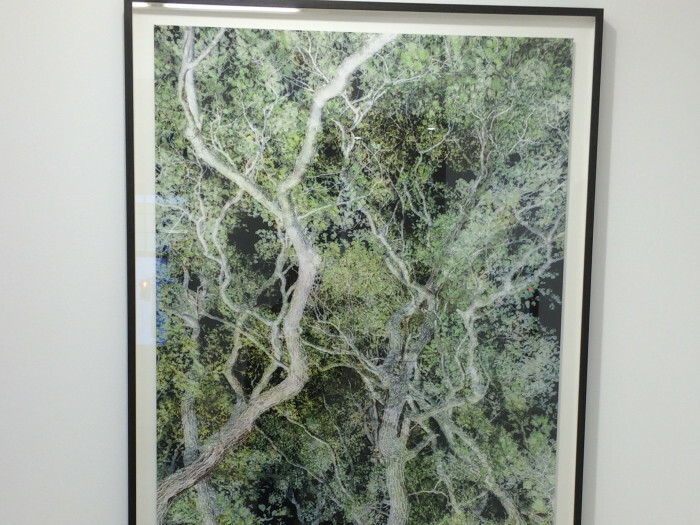 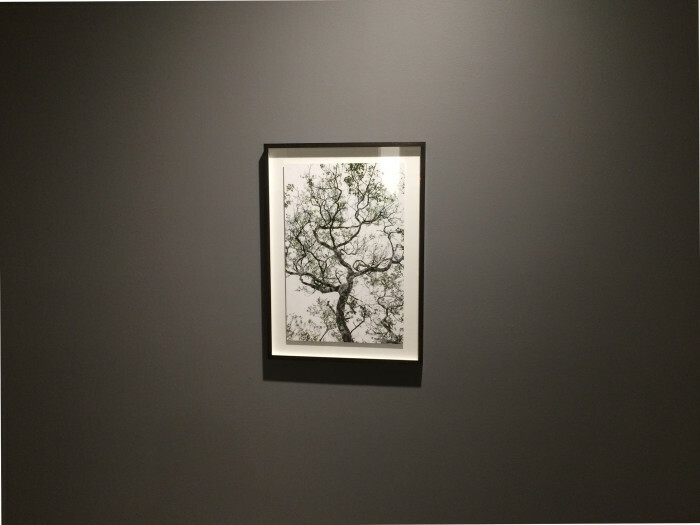 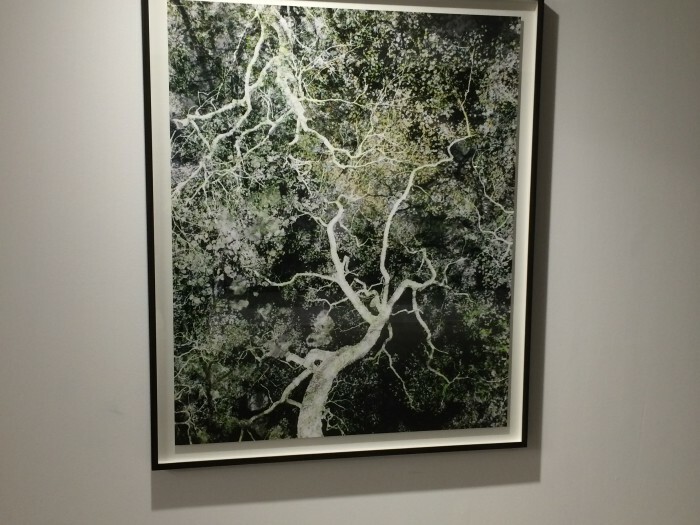 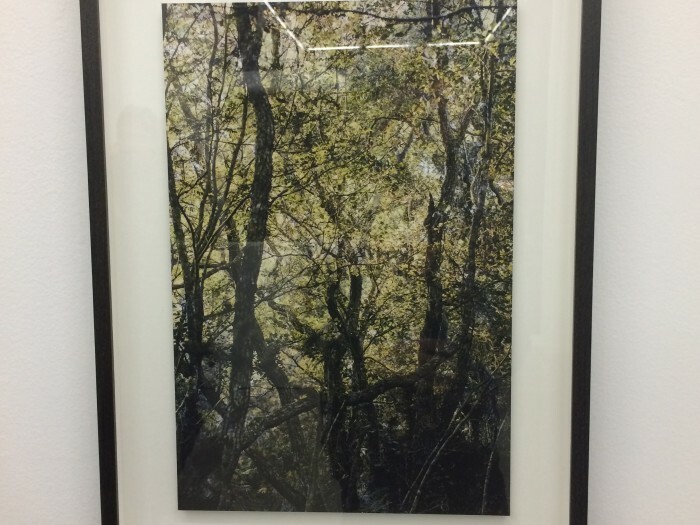 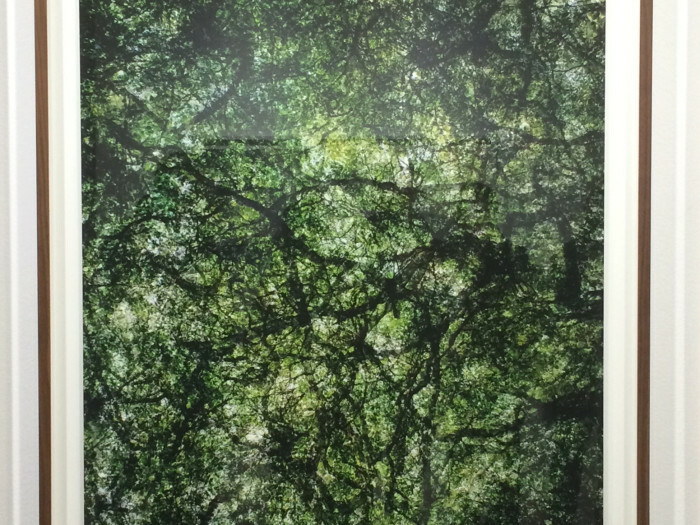 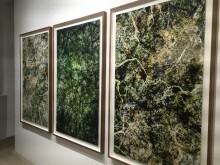 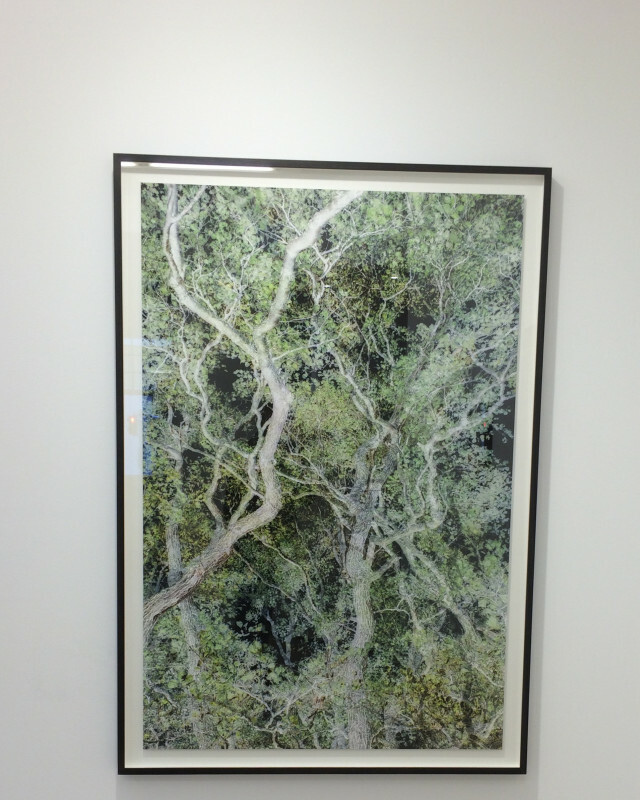 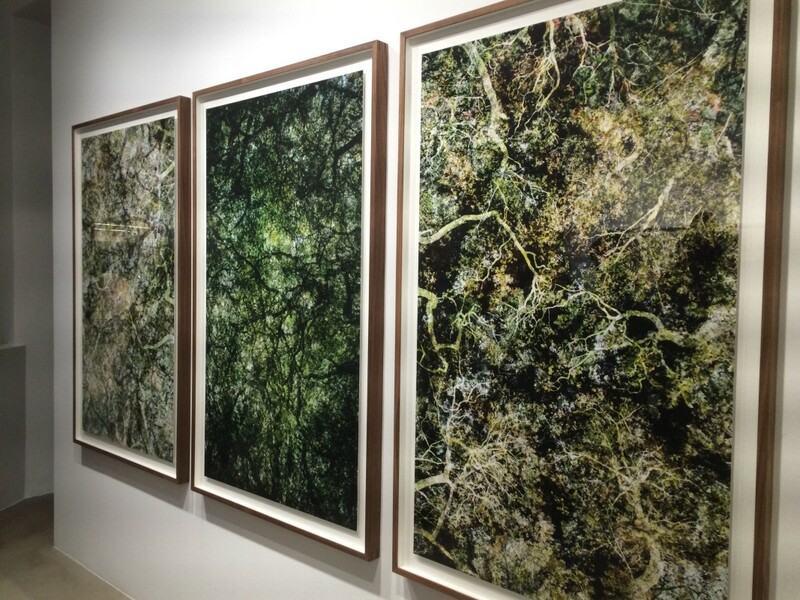 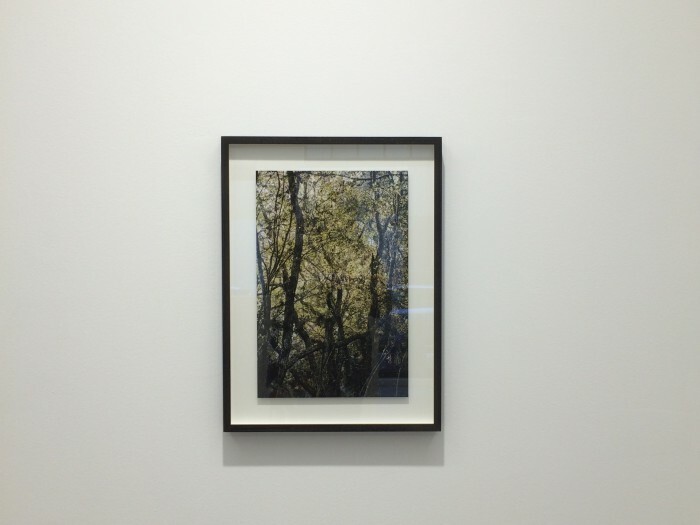 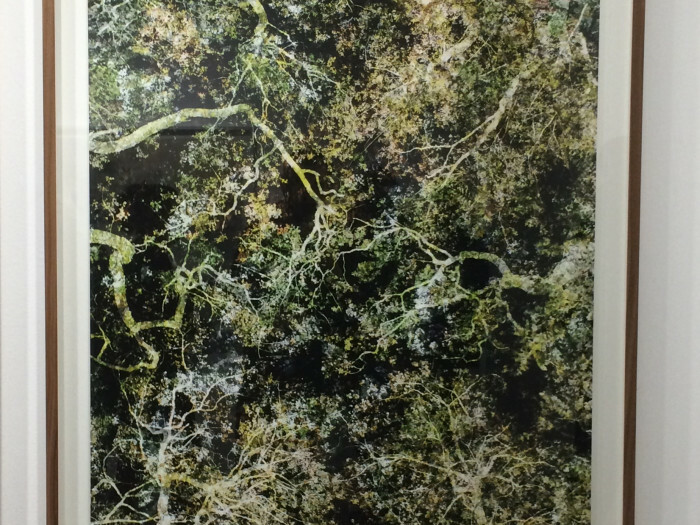 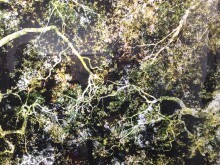 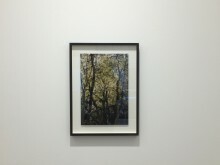 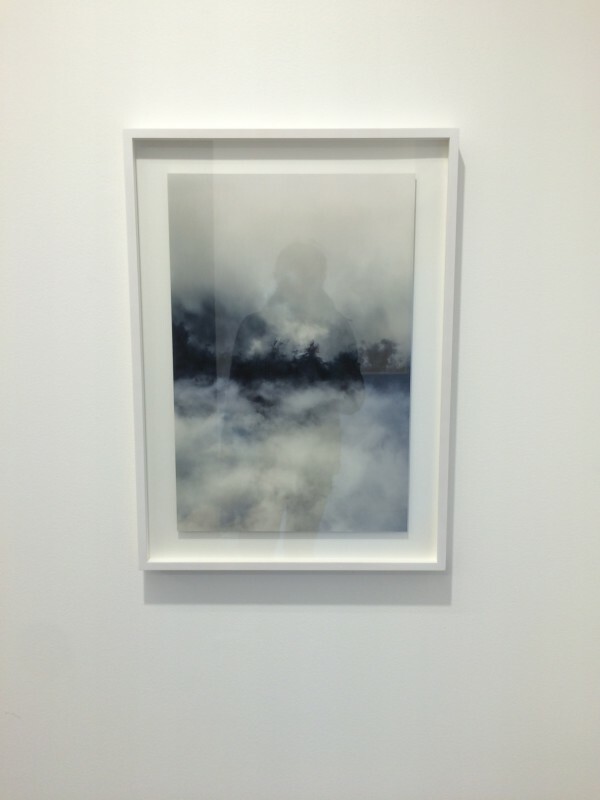 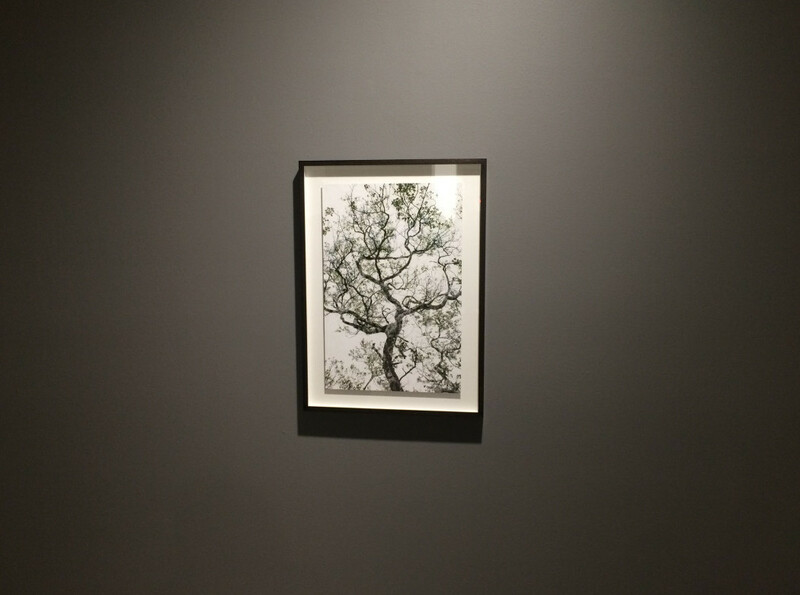 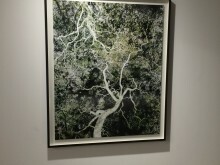 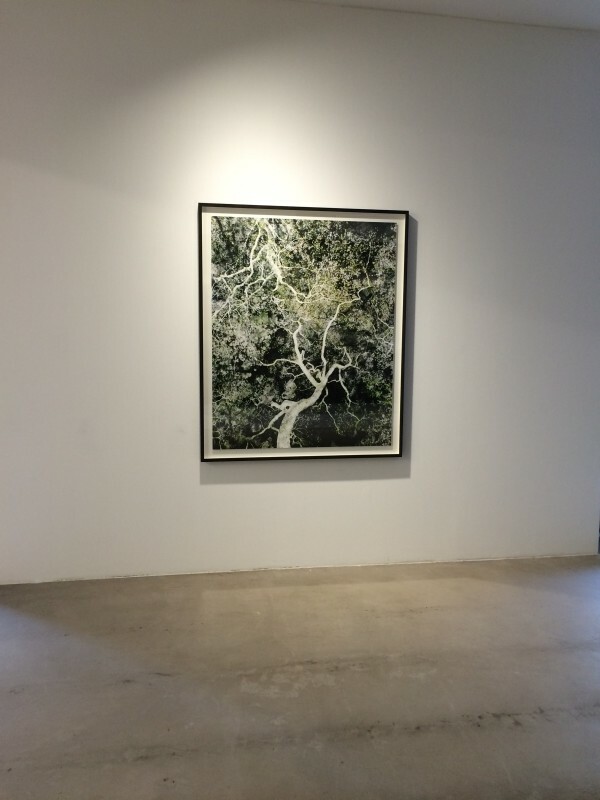 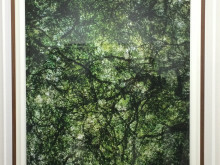 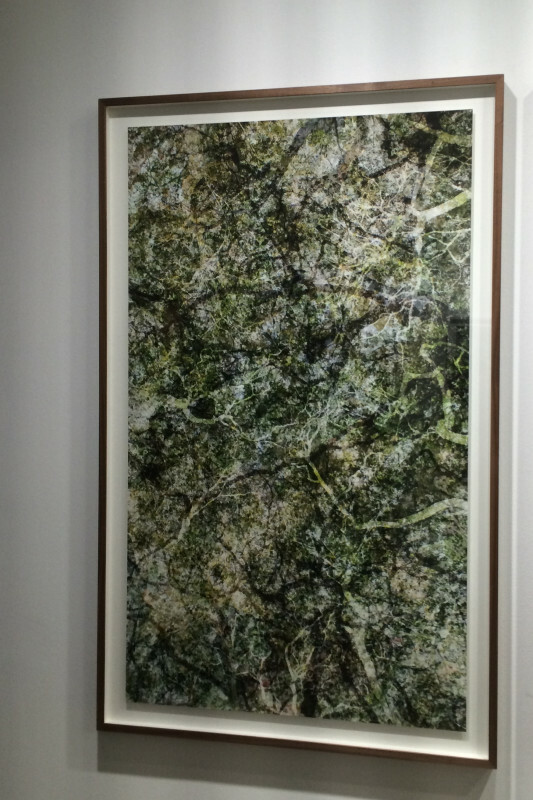 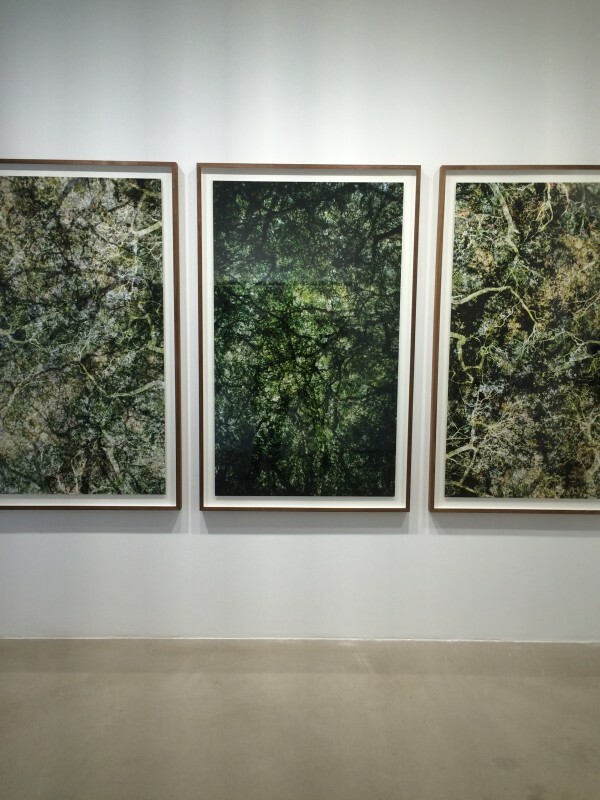 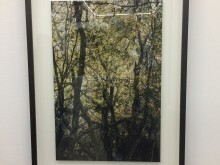 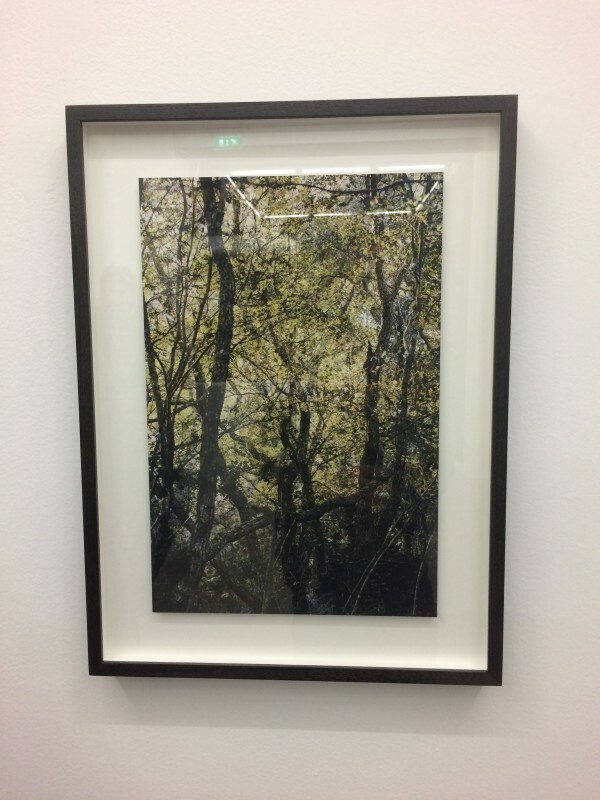 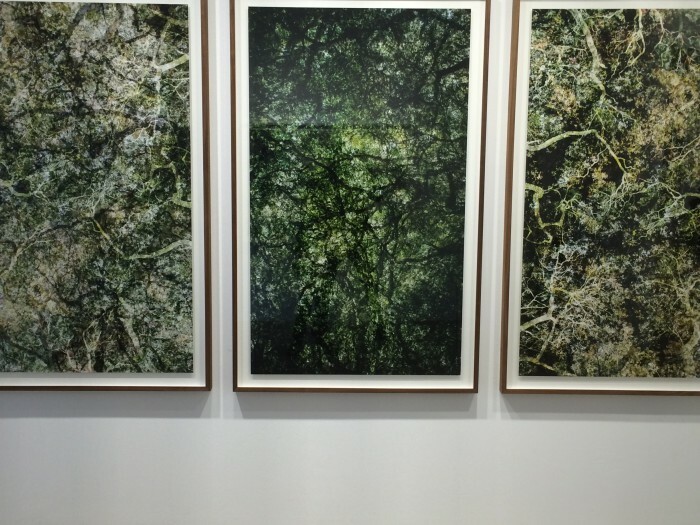 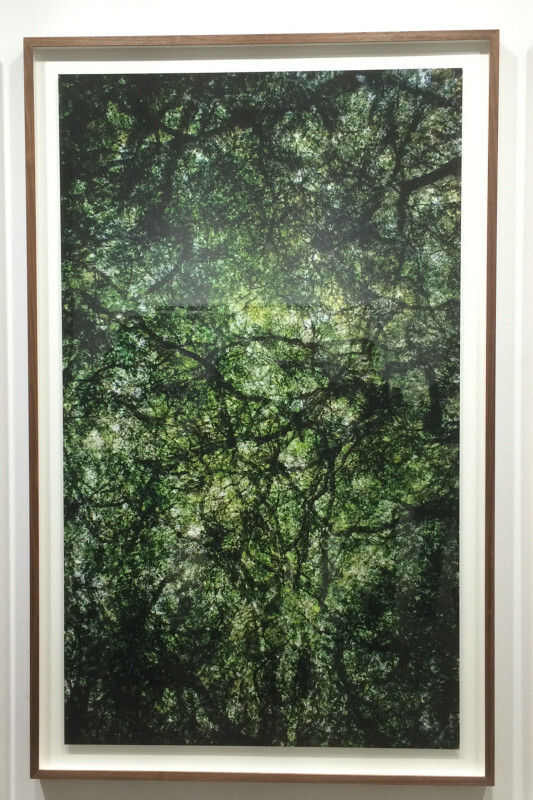 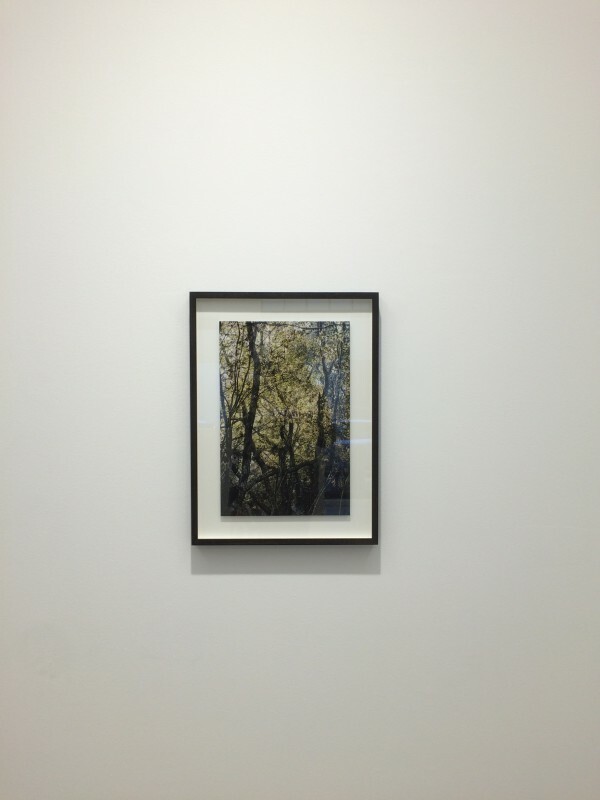 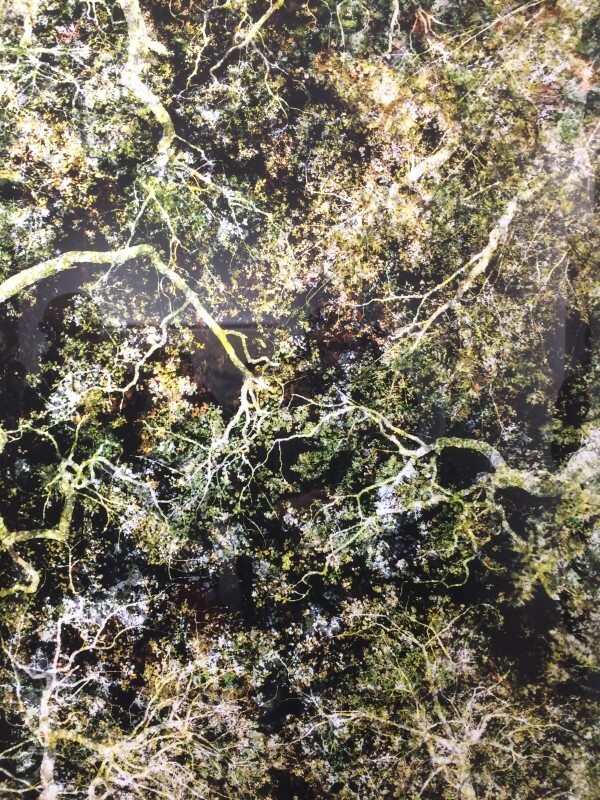 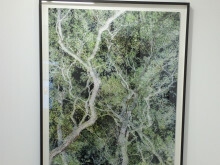 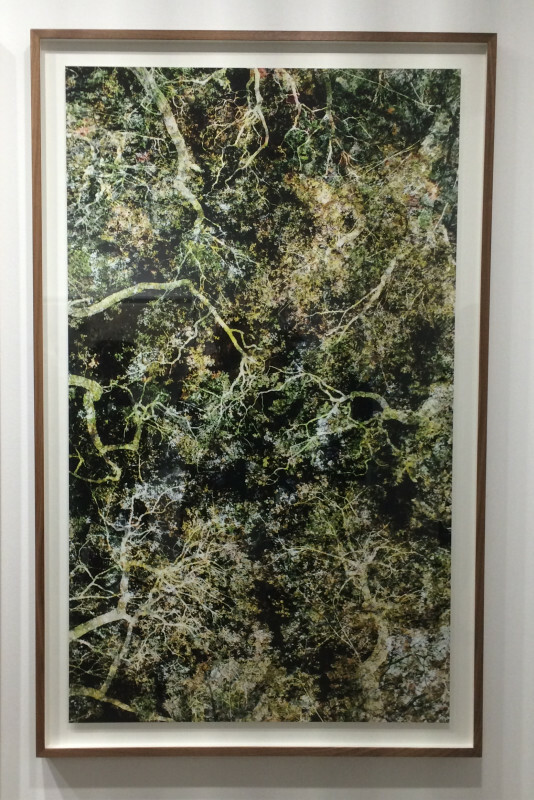 In the photographs of forest subjects, the gaze rises to the dense branches of the treetops. 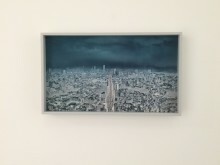 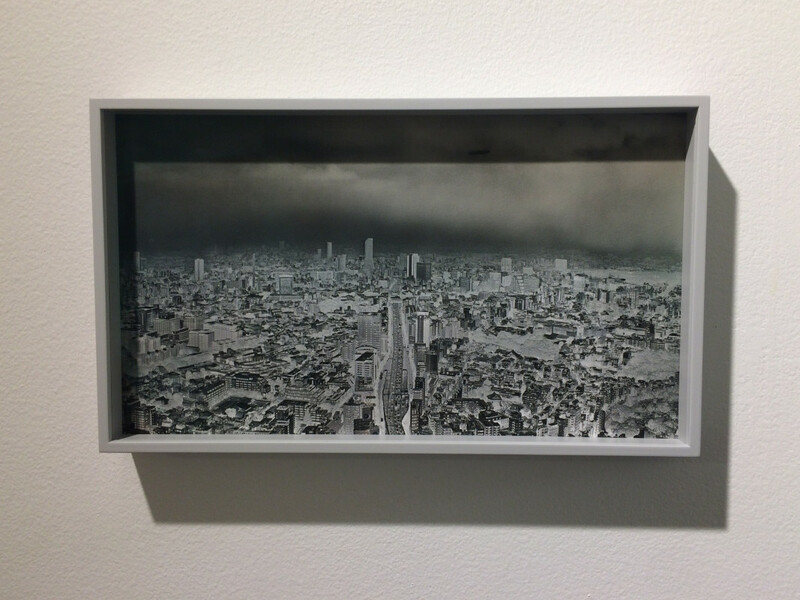 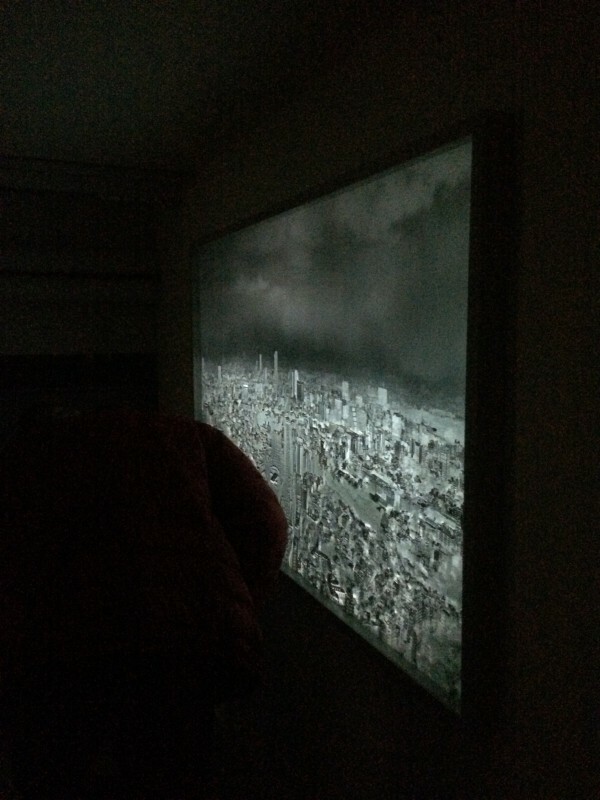 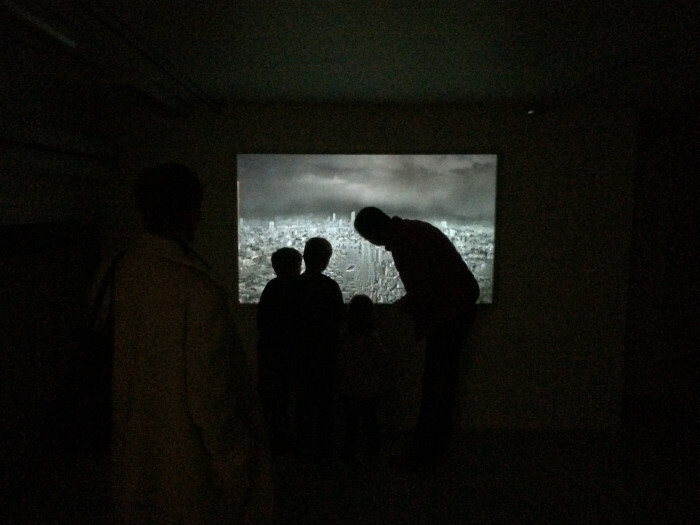 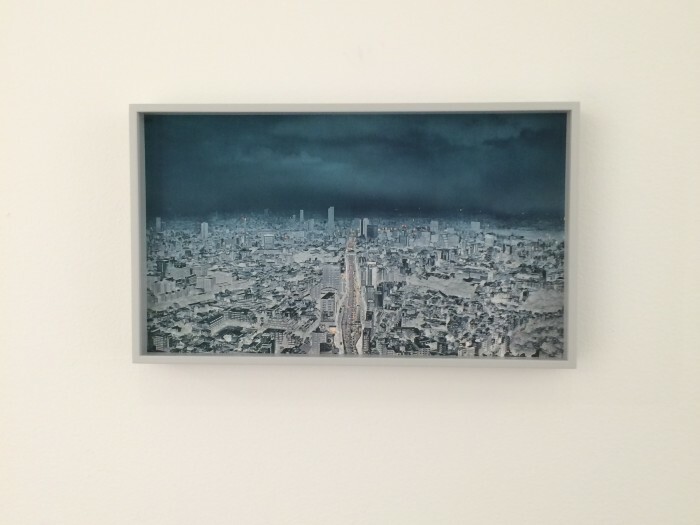 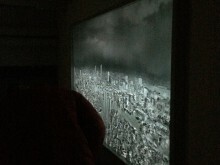 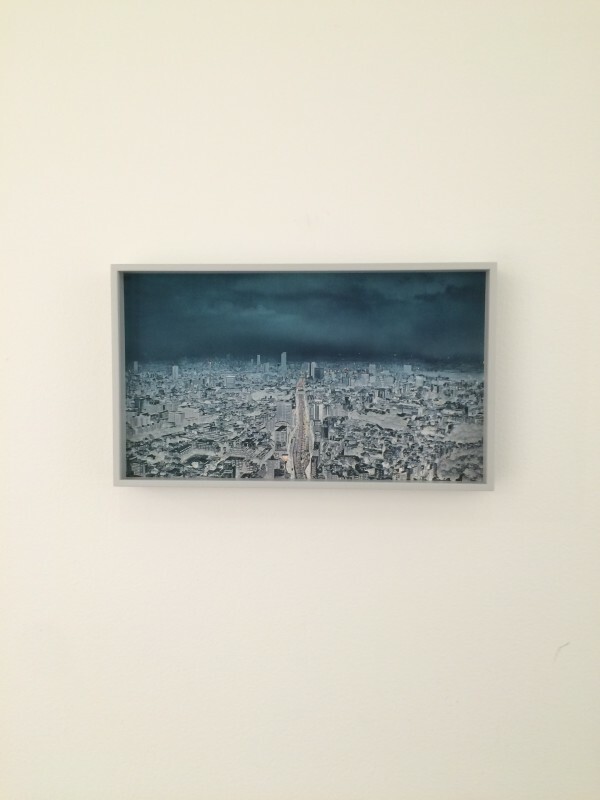 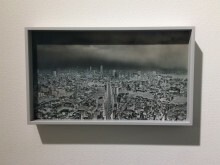 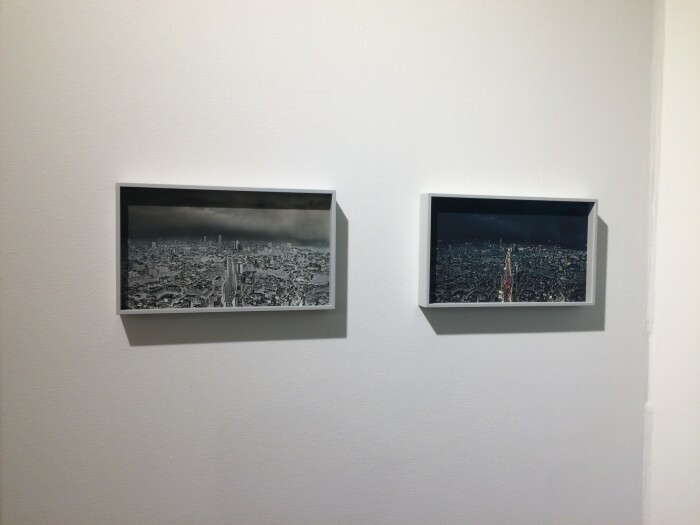 In the urban landscape extending to the horizon, the moving colour image projected on the black and white photograph shows how dusk falls on a city. 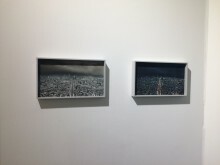 The points of light of cars flit along the main thoroughfare and the lights gradually begin to shine more and more intensively. 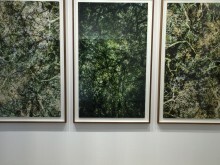 Full of details, the photographs are tranquil and almost manic at the same time. 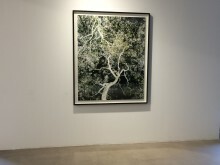 In recent years, Santeri Tuori has held a solo exhibition at venues including the Purdy Hicks Gallery in London (2014), the Asbaek Gallery in Copenhagen (2012), the DAAP Gallery at the University of Cincinnati in the United States (2012) and the Effearte Gallery in Milan (2011). 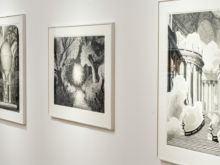 Recent group exhibitions include “Skywards, Museum Sinclair-Haus, Bad Homburg; “Go-Betweens: The World Seen Through Children”, Mori Art Museum, Tokyo (2014); Fotografica Bogota (2013); Hämeenlinna Art Museum (2013) and “Light I Wood”, Chile Design Biennale, Santiago de Chile (2012). 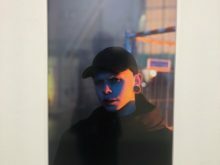 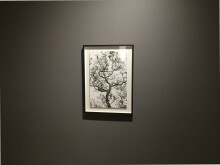 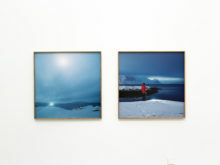 In addition to public collections in Finland, there are videos and photographs by Tuori in the Malmö Art Museum, Brandts Klaedefabrik in Odense, Denmark and Frac Haute Normandie in France.